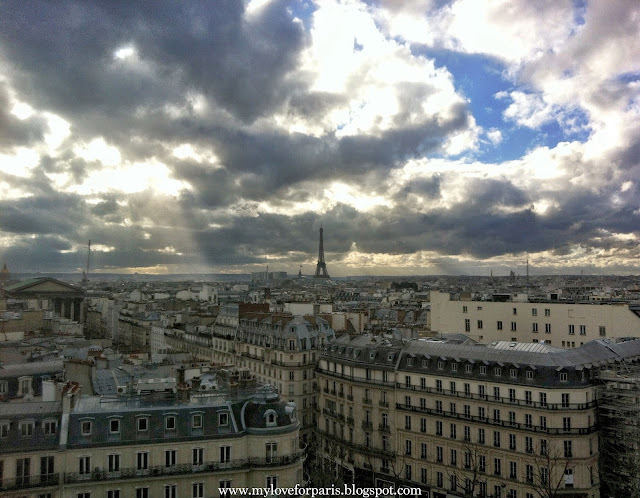 Following on from my previous post where I tried to seek out some lesser known secret views of Paris, the last department store I went to try my luck at was Printemps. And, this was where I really hit jackpot. 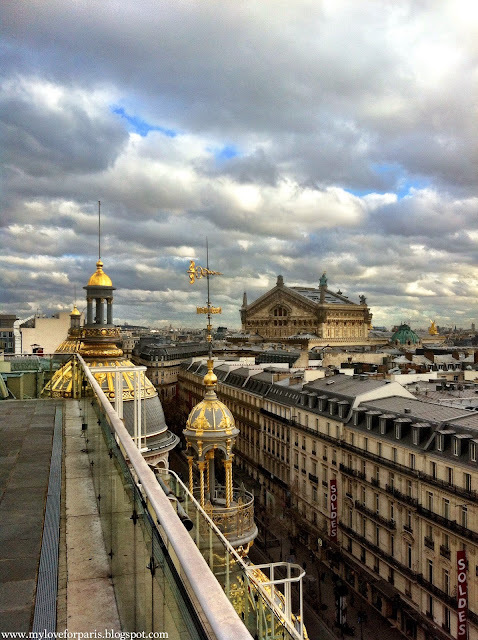 Right on the very top of the Printemps Beauty and Home building is my all time favourite rooftop of Paris. 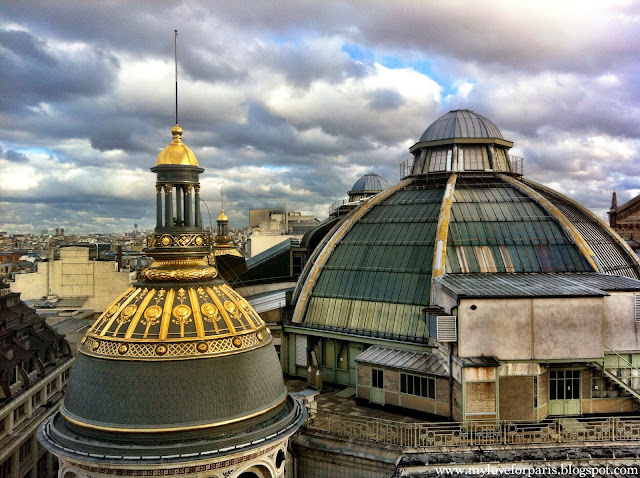 This is where you go to be blown away by the beauty of Paris. 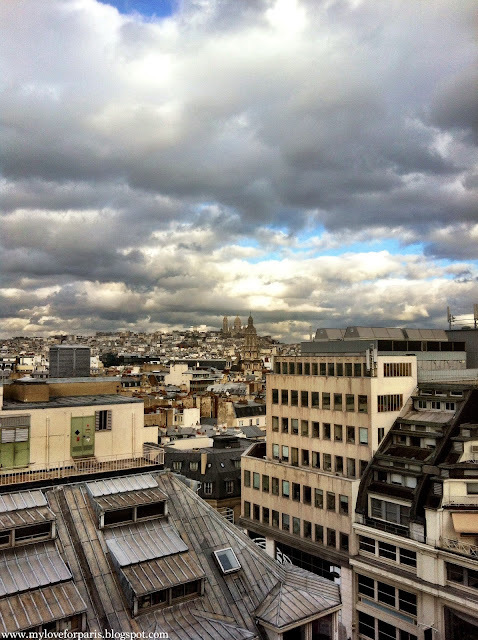 Trust me, it offers one of the best Paris rooftop views and to top it off, it is for free. Sacre Coeur if you squint your eyes.. 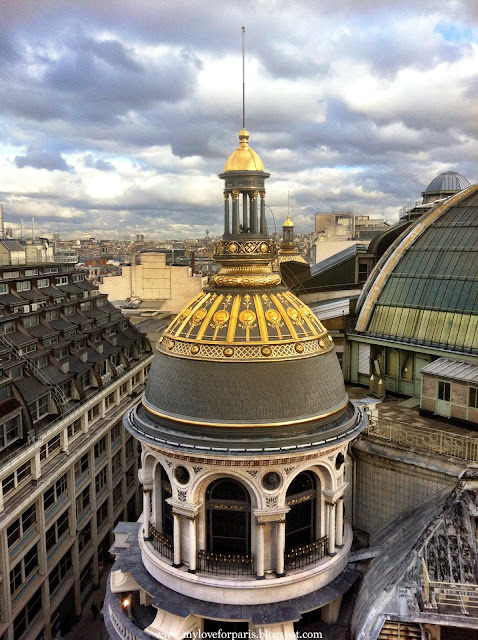 I wondered why I never knew about this rooftop after all the time I had been in Paris. But of course, now I understand why. It was so that I would be able to stumble across it for the very first time serendipitously. It's an amazing feeling when you discover something for the very first time. I apologise for spoiling the surprise, I really do. 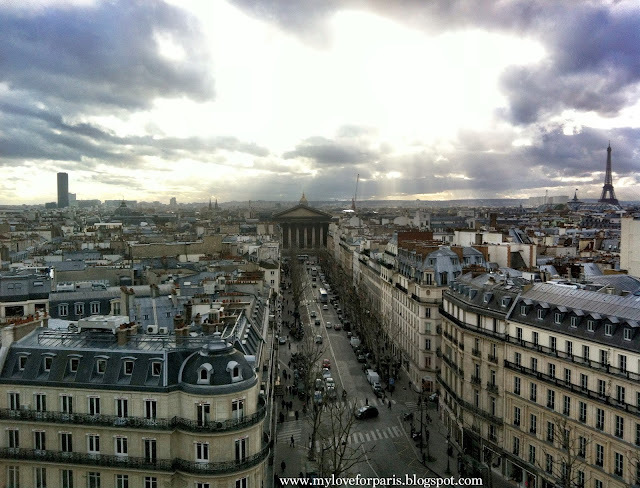 I even hesitated writing this blog post for so long because I wanted to one day surprise my parents with this view but Mum told me to just go ahead. 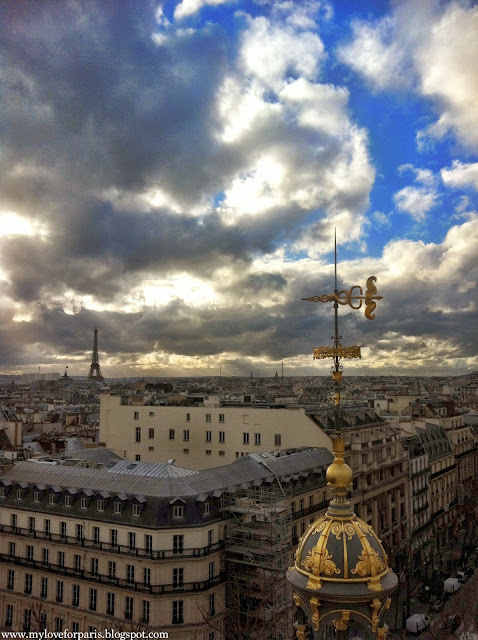 People aren't in Paris for long, sometimes they don't have time to "stumble across things", it's your duty to share things if you've found something beautiful, she told me. I hope Mum and Dad don't read this post so that I can surprise them one day. Or I just hope they read it and quickly forget it.. 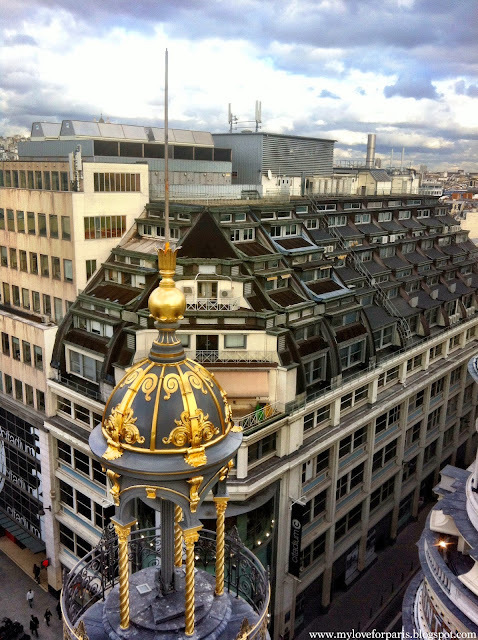 But maybe you can pass on the surprise by taking a friend up to the very top floor of Printemps Beauty and Home without telling them what they will see. I did this for my friend who came from London to visit me recently and she loved it! 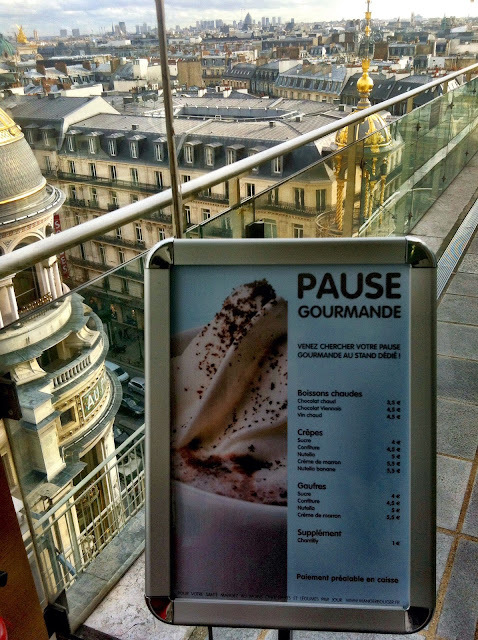 PS There's also a cafe on the top floor as well to have lunch or grab a snack/drink at super reasonable prices. 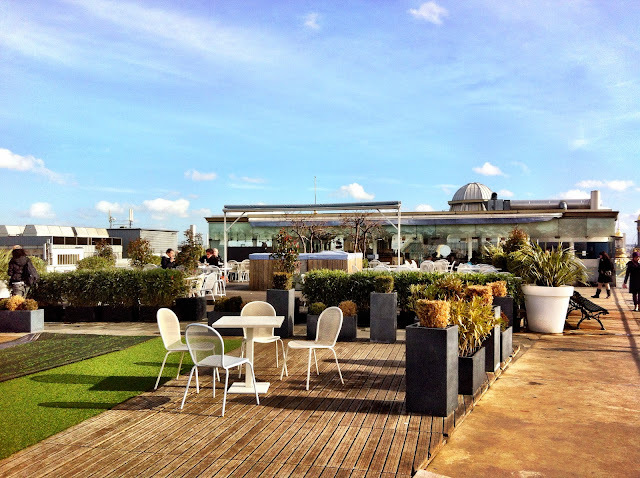 On sunnier days days you can even have your drink on the rooftop! Such a useful post Nhan! Great photos as always. Naww, thanks! 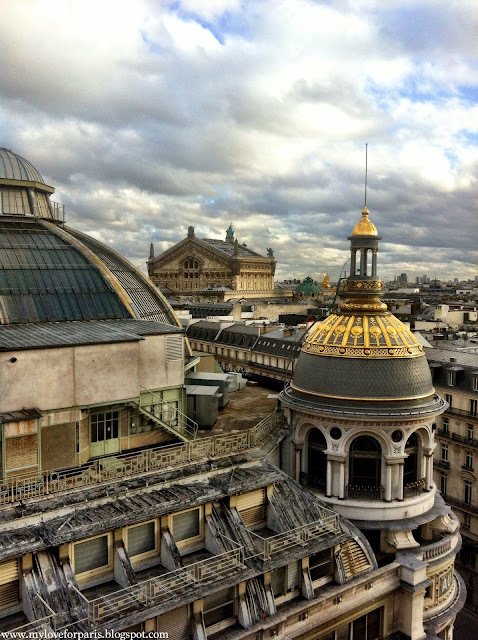 This place is stunning though, I think it'd be hard to take a bad photo..!